Bodog is one of the top online betting companies founded in early 1994. Owner and CEO the business is Calvin Ayre. While the company is mainly associated with the betting industry, the brand has been part of the entertainment business producing movies and music. It also has a mixed martial art League. 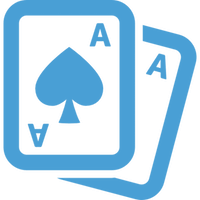 The gambling part of the business and the site were launched in 2000. The owner of the company has chosen the name of the brand to be neutral and not only betting related. This was done because the brand itself was not supposed to be only gambling related and has other businesses and products under the same name. Since its launch, the site gained a lot of popularity, and the company’s CEO appeared in Forbes magazine in 2006. The same year Bodog changed its headquarters from Costa Rica to Antigua. The same year Calvin Ayre sold the gambling business to Morris Mohawk Gaming Group but despite his retirement from the gambling industry he kept Bodog brand. The site has over 1000 employees around the world. Main entertainment events associated with the company are the Bodog Sports Marketing and Poker Conference in Las Vegas and The Bodog MMA League. The business donated to charities, and the Bodog Salutes The Troops Festival was held in Hawaii in 2006 where all the money donated were given to US military veterans. With all the hype about the Bodog brand let’s see what they’re betting the site is about. The moment you enter it you’ll know the difference between a European and US betting oriented platform. American Football and Baseball are at the top of the selection of sports and Soccer is just behind them. You’ll find them conveniently placed at the left corner. When you click on the arrow below the sports, you’ll find out that the site has a very deep selection of sports markets, and E-sports and Darts are on the list too. Politics and entertainment markets are also available which means the site is all about the new trends and tries to stay updated with new content. A “Getting Started” button will help all newbies join the site easily and even take a glimpse of all the bonus offers the site has. Bellow the sports you’ll find the Casino, Poker and horses menus that will take you to a whole different domain filled with options. There is a huge collection of casino opportunities with the most famous ones – roulette, blackjack, video poker, slots and other great games. Live betting is supported which is nice for a betting site trying to stay in touch with the competition. Mobile betting is also supported giving you the chance to bet on the go with most modern devices. Odds offered by Bodog betting site are amongst the best in the industry. Despite the fact that the odds appear a bit late compared to other Canadian site, the platform offers very competitive betting markets. Money lines are available as expected, and Props, Ifs, and Futures are some of the best in the industry. A lot of gamblers will be interested in how well Soccer is covered (being the most famous sports in the world). Let’s say that you can find more than 50 wagers on a single soccer event that is quite nice for an otherwise American sports-oriented site. The general spread, moneyline and totals are available. Alternative lines as Draw no Bet, Total goals and Winning margin are also supported. Asian handicap is missing, but there is the 3-way handicap that pretty much covers that type of bet. Odd formats in the site are the US. 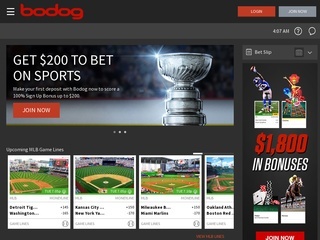 Bodog has given their all in the customer support service and is famous for delivering an excellent experience to their customers. The fact their employees are motivated by excellent incentives ensures you’ll get the best treatment in the industry. The site offers the SSL encryption that makes thing much safer for your personal data. Bodog has all the new an already established methods of delivering a great customer support service. You can get answers to your questions 24/7 via the free phone line and emails. Live chat is available to ensure you’ll get an even quicker response to your problems. And yes, waiting for a response doesn’t take that long either. The usual waiting time for an answer is about 30 minutes, but it can change depending on the difficulty of the question if it concerns technical issues. All in all, Bodog can be praised for offering a really good and hassle-free betting experience. The bookmaker has made sure the players have all the freedom to deposit funds the way they feel is more suitable for them. All major credit and debit cards are accepted and bank transfer is also available. Digital wallets are also supported. Minimum deposit sum is $20, and the maximum is $1000. Withdrawal options are pretty much the same as the deposit methods. If you choose the check withdrawal methods, it’s only possible for US citizens, and you’ll have to provide a physical address. Supported currencies are listed in the table.